When her eldest daughter came home after those first days of school, she quickly realized that she would have to learn English too if her daughters were ever going to come to her with their thoughts. If it were just her, she would be fine in her solitude during the day when she was alone. 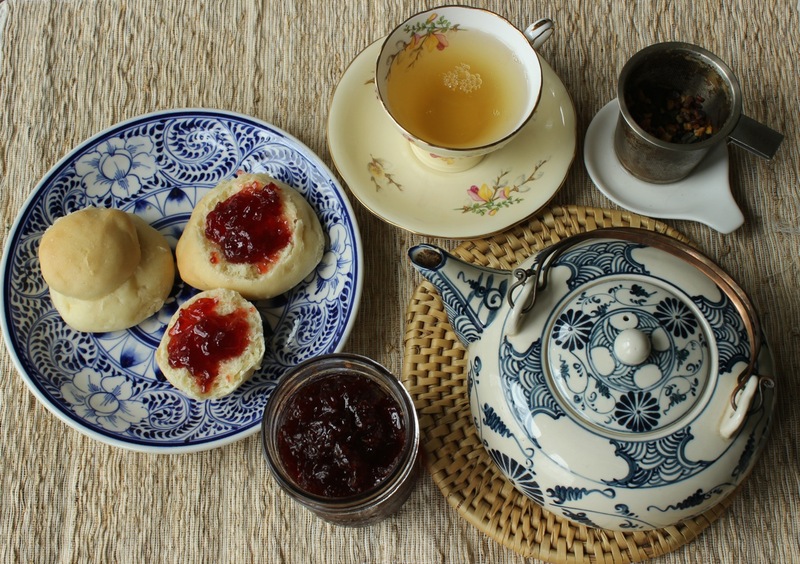 She needed no language to go about her day; the rhythms of her work were engrained into her body and the feel of whatever she would make came back to her every time she made a batch of dough, turning it into buns for dinner. She had already made them so many times for family gatherings – weddings and funerals – in Paraguay. She had to adjust her recipe a bit; the climate was a little different in Canada, and she could sense it right away in the way the dough stuck to her fingertips. She realized that her daughters lived in a different world than she did when they left the house and went to school. And she didn’t want to separate herself from them. She would have to learn how to live in two worlds and hope that one day they would merge. I didn’t expect that Oma and Opa would be in the same room as me, reclining in their chairs with their eyes closed for their mittag schlafen and facing the afternoon light as it poured into their tiny apartment. 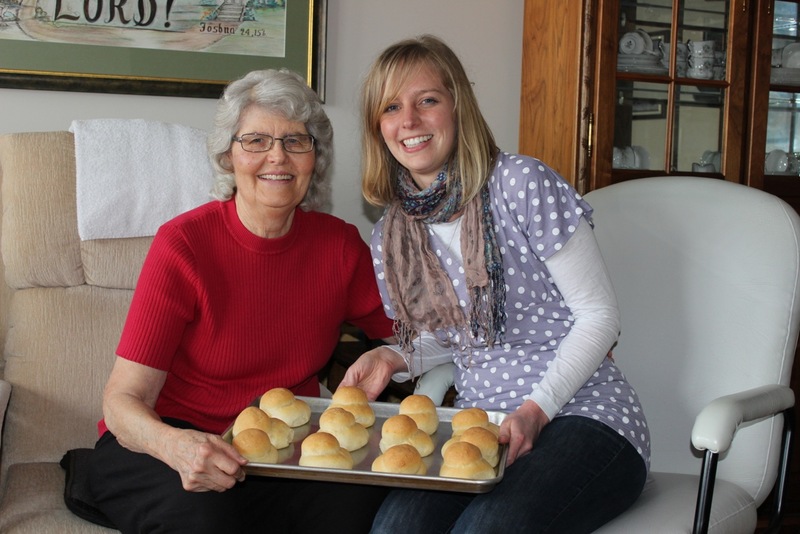 Oma told me that she was going to lay down as the buns we had made together were rising. 1 hour. While Oma was resting her head in the sunlight, I propped open the oven door to inspect the buns. I shifted the tea towels to look underneath. Assured that they were doing just fine, I slipped back into my spot at the dining table. Oma, aware of everything going on in her house, leaned over and peered at me. How are they doing? she said with a smile. Good, I said. They’ve almost doubled in size. I spent the day with Oma making the buns and recording every step. She has it memorized, but I don’t. I also wanted to learn the technique and share it with you. Here is her recipe. Makes about 4 dozen buns. If you have a small oven or just a few baking sheets, make buns from half of the dough and reserve second half of dough until you are ready. If you make all the buns at once they may deflate while you’re waiting for the others to bake. Since it’s a large batch, you can easily freeze extras or share. Combine warm water, yeast, and sugar in the mixing bowl of stand mixer and wait until the yeast blooms and starts to crack a bit. The time it takes depends on the yeast and the room temperature. Mix eggs with milk until well blended. Add egg and milk mixture to yeast. Add ½ cup of the butter. Add salt and add flour gradually, one cup at a time, turning on the mixer between each addition to incorporate. After adding last cup of flour, add reserved ¼ cup of the butter. Mix until dough comes off the sides of the bowl. The dough is ready when you touch the it and it springs back and doesn’t stick to your fingers. Make sure there are no lumps in the dough and no grainy bits in the bottom of the bowl. Transfer dough from mixer bowl and place in a larger greased bowl to rise under a light in the oven or a warm place. Let dough rise for 1 hour, or until dough is doubled in size. Prepare baking sheets with parchment paper or lightly grease them with butter or cooking spray. Begin to form buns, gathering dough from the bottom of the bowl. Form a circle with your index finger and thumb, taking a handful of dough and squeeze drops of dough through. Create a larger drop for the base and a smaller drop for the top. Push down to secure the two buns together. Once you’ve filled two baking sheets, let them rise for an hour under a slightly damp tea towel under the oven light or in a warm place. Reserve the remaining dough until you’ve baked the first two batches, then create the remaining buns. Preheat the oven to 350 F. Bake for 22-25 minutes, or until buns are lightly golden brown around the edges.